How to Pick the Perfect Honda This Holiday Season. There is a large range of Honda’s to choose from and we know that. Today we are going to do a breakdown of various features of some different Honda models to help you decide which one will make the perfect gift this season. 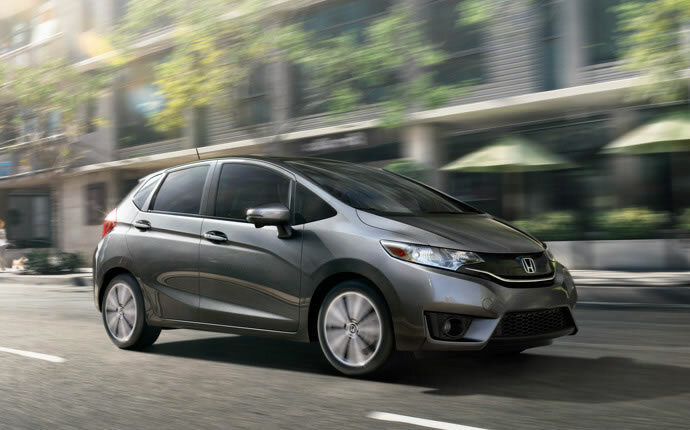 The Honda Fit– The Honda Fit is a great subcompact hatchback. This is a great car for someone looking to get economical gas mileage and a smaller car with cargo room at an excellent price. Although this car is small it does not sacrifice in the way of leg room and ample cargo space. The rear seats fold down flat for an impressive 53 cubic feet. The Honda Accord – If the Honda Fit is too small for you or you don’t like the hatchback look, then the Honda accord might be the perfect fit. A step up from the Honda Fit and Civic, the Honda Accord is a mid-sized luxury sedan that is excellent for an individual or small family that is looking for something bigger than a civic or Honda Fit. If you’re looking for a little more power the Accord can be outfitted with a 278 HP V6 engine. The Accord has also received a 5 star safety rating and has been on the Car and Driver’s 10 best list a record 29 Times. The Honda CR-V – The Honda CR-V is the perfect vehicle for someone that loves the outdoors and camping, but does not want to be burdened by the lack luster gas mileage of larger SUV’s. The CR-V has excellent clearance and can take you on most of the trails surround the Los Angeles / Southern California area. 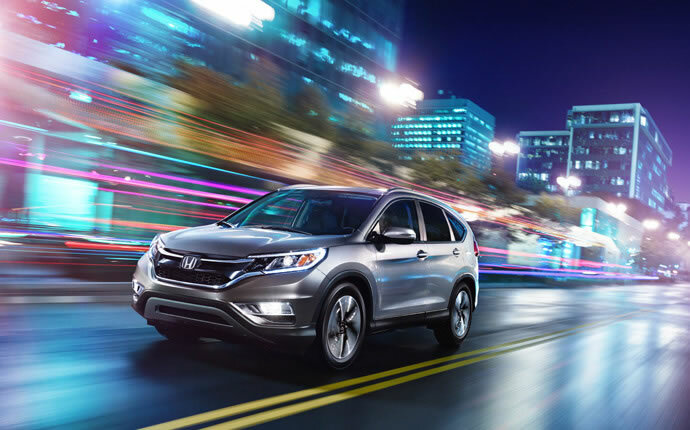 The Honda CR-V gets exceptional gas mileage for an SUV. During our Honda Days event you can get in a 2014 Honda CR-V for as little as $199 a month. 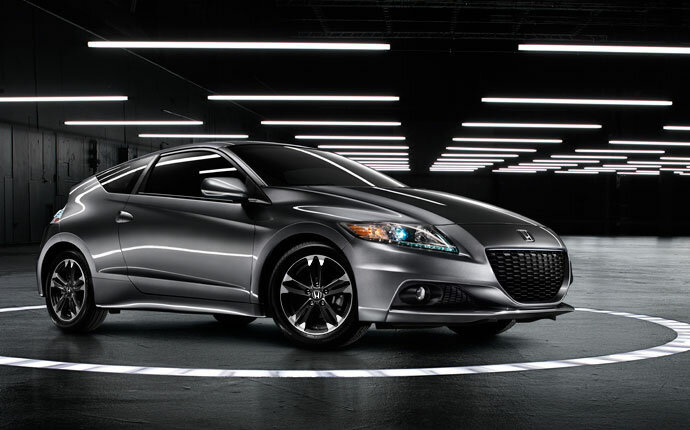 The Honda CR-Z – The Honda CR-Z is great for individuals looking for a Hybrid that still has a very sporty feel. The CR-Z is a two seat compact with 130 Horsepower and features a Plus Sport System that enhances the performance of the CR-Z at the push of a button. It is excellent for getting up to speed or for making a quick pass on the freeway. The CR-Z is also the world’s first production hybrid that has a 6 speed manual. Something that many enthusiast’s found lacking in other hybrids. 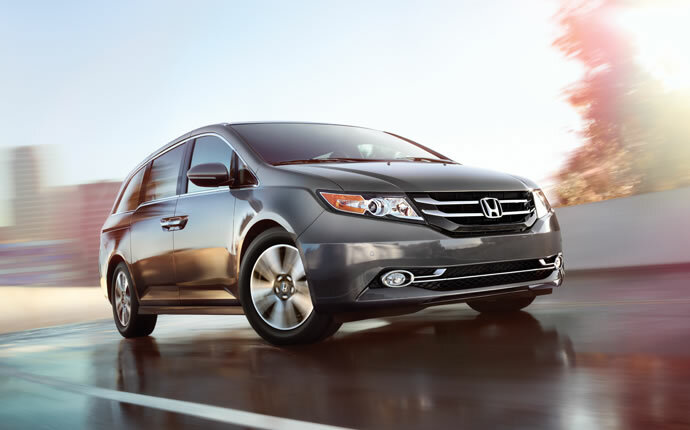 The Honda Odyssey – With three rows of seats and plenty of cargo room Honda Odyssey is the perfect family vehicle. Touted by some as one of the best minivans ever, the Honda Odyssey has incredible resale value and it is packed with family friendly features. The Odyssey Touring Elite model is also the only mini-van that has a built in vacuum to clean up all of the mess that a large family can generate. It also comes with an optional cool box that can keep your family’s drinks cold! If you have any questions or want to know more about any of our models, then don’t hesitate to call us at 888-381-0444 or come down to Airport Marina Honda in Los Angeles today.